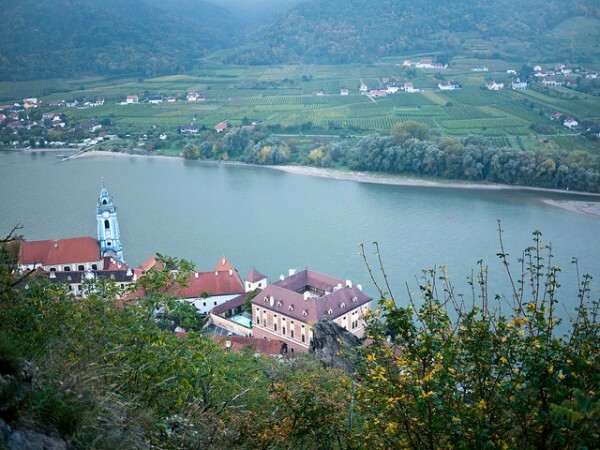 Durnstein is located in the region of Wachau in the north-east of Austria, on the Danube and has a population of under 1,000 inhabitants. It is at approximately 80 km to the north-west from Vienna. From Vienna it can be reached on the motorways A22-S5 or A1-S33 or by train until the station in the town of Krems an der Donau, located at just a few kilometers away. 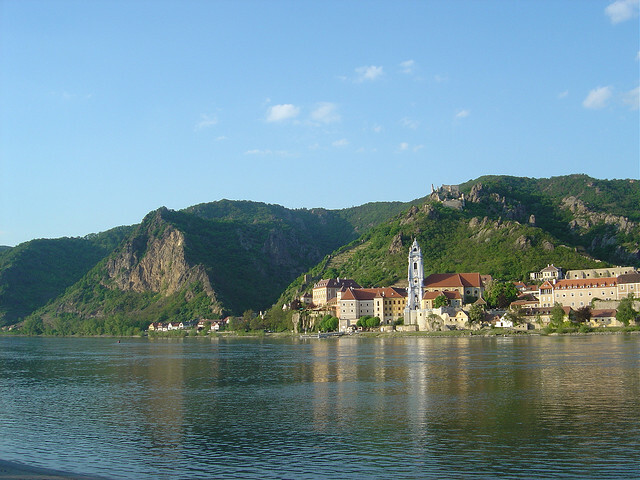 Durnstein can also be accessed on the Danube. Durnstein is mainly famous for its castle, but there are many other sites that worth to be visited. Today we present two of them, the Parish Church and the main street of Durnstein. The Parish Church of Durnstein belonged to the former monastery that was founded in 1410, after that previously, in 1372, there was built a chapel and in 1400 a crypt. The tower is the most impressive part of the church, it has many baroque elements after the restoration from the eighteenth century. That time it was restored its original color as well, mostly being blue. The tower is different from the rest of the church, being covered with precious reliefs expressing the Passion of Christ. 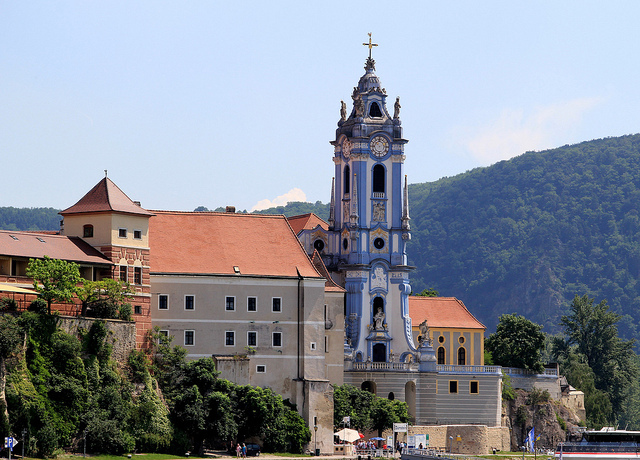 The most important restoration of the Parish Church of Durnstein took place in 1710, when they celebrated the 300 years anniversary of the foundation of the monastery, and as rector was appointed Hieronymus Übelbacher. The last major restoration took place between 1985 to 1998. The ticket includes visiting the church and the monastery, the exhibition, the crypt, and the terrace that is offering breathtaking views of the Danube. Hauptstrasse is the main street of Durnstein. This is a narrow pedestrian street with beautifully decorated homes, dating from the sixteenth century. The houses generally have two levels being beautifully adorned with flowers during the summer and on their lower floor visitors can find shops and restaurants. The narrow streets in downtown with colorful old houses express a medieval atmosphere, when Durnstein was a famous castle.